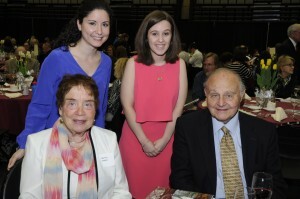 One of the ways the Ramapo College Foundation fulfills its mission is by connecting benefactors who would like to create scholarships with outstanding Ramapo College students. The Foundation is especially grateful to donors who have chosen to establish endowed scholarship funds, since their gifts will benefit Ramapo students well into the future. Each year the Foundation recognizes the generosity of scholarship donors and the recipients of their awards at the Scholarship Dinner.